On June 8, 2014 a group of 102 gathered at our current facility on Eighth Street in Washington. At that time, we were simply a body of believers, one family, but without a church name, bank account, or chairs! Well, we had chairs, but they were borrowed. God was at work at New Life Church from the very beginning and we have been blessed to be on this journey! Under the Lord's guidance, many things fell into place in the first few months at New Life Church. We saw much giving from our church family...of time, of talents, and of financial gifts. We were able to purchase (or received donations of) most of the necessary items for our worship services (chairs included!) and for the business of operating a church. 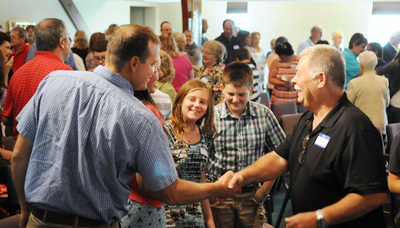 On September 7, 2014, a celebratory Launch Sunday was held. After a summer of laying the framework and working out the kinks, the church was ready for a public launch. In addition, New Life Church has entered into the courtship phase of association with the Evangelical Free Church of America, which aligns most closely with our beliefs and mission as a church. The Lord continues to amaze us with His provision. On March 30, 2015 we officially purchased the building at 408 East 8th Street! We see a few new faces each week at worship, and everyone is finding a place to be involved and serve. We have finalized a process for membership, and have accepted nearly 70 members. Our prayer ministry team covers our church daily and in their weekly meetings, and our worship team does a wonderful job of incorporating newer praise songs and classic hymns into our services. We long to make disciples who make disciples... to bring everyone who walks through our doors to a deeper relationship with Jesus Christ. In short, we are going wherever the Lord leads us! 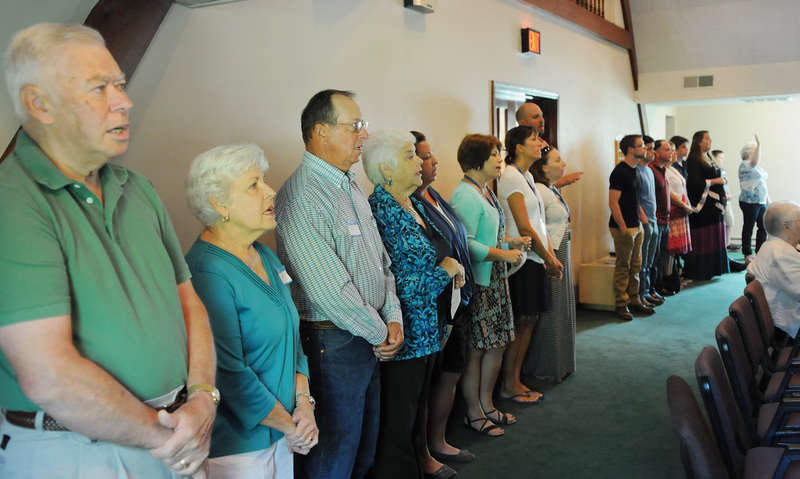 New ministries are being developed to meet the needs of our ever-growing church body. The future is bright for New Life Church... so Come Grow with Us!